Unconstrained pseudo-Boolean optimization is an issue that studied enough now. Algorithms that have been designed and investigated in the area of unconstrained pseudo-Boolean optimization are applied successfully for solving various problems. Particularly, these are local optimization methods [AL97, AM04a, PS82] and stochastic and regular algorithms based on local search for special function classes [ASSSO, BSV02, WW02]. Moreover, there is a number of algorithms for optimization of functions given in explicit form: Hammer’s basic algorithm that, was introduced in [HR68] and simplified in [BHO2]; algorithms for optimization of quadratic functions [AFLS0l, FH00, HS89], etc. 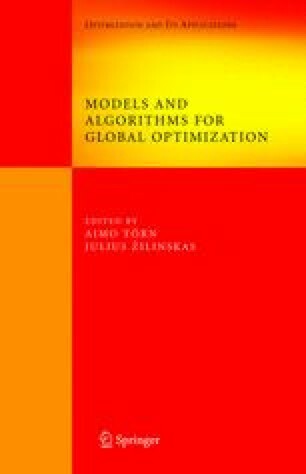 Universal optimization methods are also used successfully: genetic algorithms, simulated annealing, tabu search [Gol89, Sch95].